Rob Noel Golf Academy is pleased to announce the addition of Swing Catalyst. Based in Norway, Swing Catalyst has developed sophisticated software and hardware solutions for measuring player performance. Our newly acquired Swing Catalyst Pressure Plate adds an important dimension to Rob Noel Academy, and offers our instructors a "peek behind the curtain". This Pressure Plate, consisting of 2048 high-resolution pressure sensors, provides detailed foot pressure data, accurate pressure distribution, real time center of pressure (CoP) and CoP patterns, all elements that cannot be determined by the best trained eye or even expensive high-speed cameras. The Swing Catalyst Pressure Plate data is perfectly synchronized with our high-speed video images as well as with data from our ball/club tracking devices. 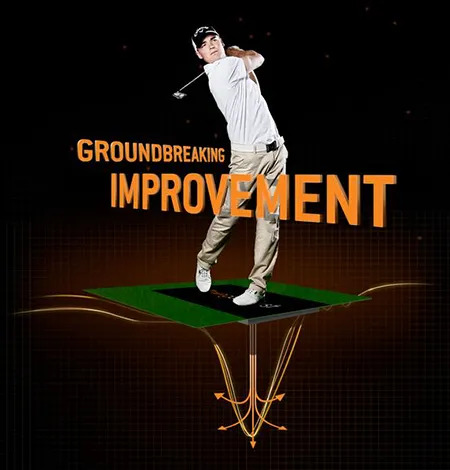 Power in the golf swing is generated from the ground up so find out how much power you're generating/losing with this sophisticated pressure measuring device. Swing Catalyst is used by Tour Players Justin Rose, Ian Poulter and Suzanne Pettersen. This device is helping to maximize their distance with very little change to their overall golf swing. "A "Swing Catalyst Ambassador" is a champion of our brand and proponent of our platform. Our Ambassadors provide feedback, referrals and suggestions on improving our platform and use our platform daily. Ambassadors are limited to 1 in each U.S. State and hand selected by our company. Ambassadors have a signature logo only used by our top Swing Catalyst instructors." Contact us for more information or to book a Swing Catalyst session.